When is the best time to exercise for you? I’m not the best at getting up in the early hours of the morning and getting exercise done! Actually, I’m not the best person getting up in the morning at any time…..I need my beauty sleep! I find, for me, the best time to exercise is late morning/early afternoon. I think for me it’s when my body is awake enough but also not tired enough to bother me. Some days this just isn’t possible. With the business, the kids and the sick hubby it is sometimes hard to get any exercise done at all. There have been times that the days have been so busy that 10.30pm comes along and I feel so bad that I haven’t done any exercise I throw on my running gear, reflector top and go for a 30 min run or even just a brisk walk around the area. I always feel so much better but the only downfall for me after exercising so late is that I have so much energy when I get back that I can’t sleep ha ha. I know for my hubby before his illnesses he would be up at the crack of dawn exercising and always felt he lost more weight exercising in the early morning than any other time of the day! It’s totally up to you and how you feel works best for you. I think as a society we have just become so used to having things done for us or having ways of doing things that don’t take any effort that as the statistics show 60% of us are just lazy! If you travel around the world to some countries, exercise is just a common part of their daily routine; it’s just like eating or sleeping to them. This is where we need to be in years to come. It’s certainly not going to happen over night but over time I do hope that we all start to realise that we need to add exercise into our daily routines. I’ve just put together some benefits of both exercising in the morning compared to exercising in the evening but as I say on the bottom, it’s totally up to you – you find what works for you and stick to it. Exercising in the morning can make you feel more energetic the whole day, if you manage to do 30 minutes of vigorous exercise. When you exercise in the morning, you will find that your body will be taking in more oxygen, and your blood circulation will also improve. As such, you will gain the physical and mental energy you need to overcome the demands of a busy day. 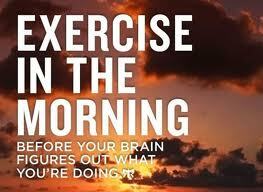 Morning exercise also makes your brain more alert, and you will become more focused throughout the day. As such, you can plan your day, organise your ideas and remember things more effectively. Furthermore, exercising in the morning can also help you reduce stress because you can experience great peace and quietness in the morning. Another benefit of morning exercise is that it can increase your metabolic rate. As a result, your body will be burning more calories throughout the day, even if you eat more often. Also, if you wake up to exercise at the same time every morning your body will develop a consistent daily rhythm. It will automatically wake up around the same time everyday and prepare itself for the exercise routine. Furthermore, if you exercise in the morning, you will find that it is easier to stay committed to your schedule. This is because things that can make you skip your workout, such household chores, work and social activities, usually occur in the afternoon or evening. If you choose to exercise in the evening, you will be able to dedicate yourself more fully to your workouts since you do not have to rush to get to work. Also, you will be more eager to exercise after a hard day’s work, because exercise is a great way to unwind and relax. You may also choose to exercise after dinner, which can be a good idea because you will have lots of energy to release. Exercising also reduces your craving for food, so you do not have to snack before you sleep. 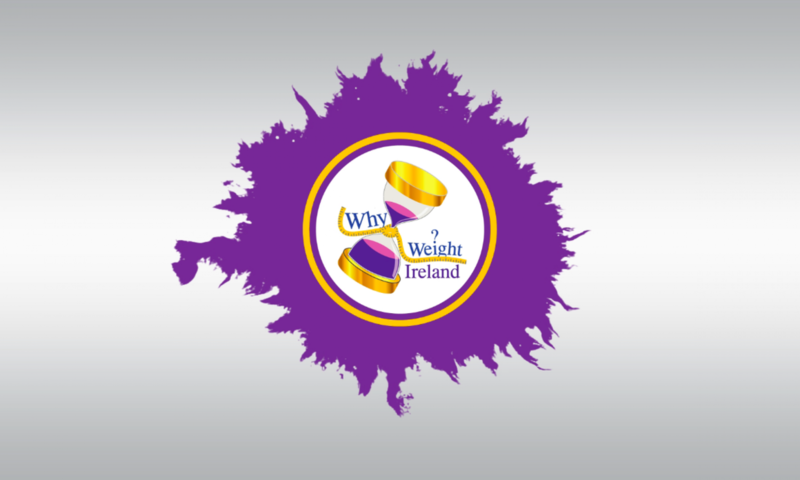 This is especially important if you want to maintain or achieve a healthy weight. Evening exercise can also give you peace of mind before you go to bed, and this can help you sleep better. However, if you choose to exercise late at night, you may have difficulty trying to fall asleep. You have to choose an exercise time that is suitable for your lifestyle. If you are a person who works late or has to attend social activities in the evening, morning exercise will provide a better workout for you. You should opt for an exercise time that suits your daily schedule and preferences, and gives you the best results possible. But always try and get the exercise done. There are always excuses for why you couldn’t do your exercise but that is all they are, excuses. Give yourself a chance, and give yourself a good talking to if you have to J I know how hard it is, juggling a full time job and 2 young babies I found it SO tough sometimes to find the time, but I also knew that making excuses for why I couldn’t do something wasn’t going to get me to my goal weight either. I made the decision to get up for work an extra half hour early (which wasn’t easy since I was already leaving the house at 6.30am as it was!) But I did it, got to work early and went for a brisk walk; I ate my lunch at my desk and then went out for another walk on my lunch break. I suppose, what I’m saying – is sometimes it seems there is no time but you may find if you just jiggle a few things around you may just squeeze in the extra 5 minutes here, extra 10 minutes there…. it all helps 🙂 Take the stairs, take the extra steps, get off the bus a stop early, make the changes and get MOVING!